Elizabeth Williams and Alex Bentley each scored 22 points, Tiffany Hayes added 21 and the Atlanta Dream beat the Las Vegas Aces 109-100 on Tuesday to clinch a WNBA playoff spot. ATLANTA — Elizabeth Williams and Alex Bentley each scored 22 points, Tiffany Hayes added 21 and the Atlanta Dream beat the Las Vegas Aces 109-100 on Tuesday to clinch a WNBA playoff spot. For the Aces, it was their second loss of the day. 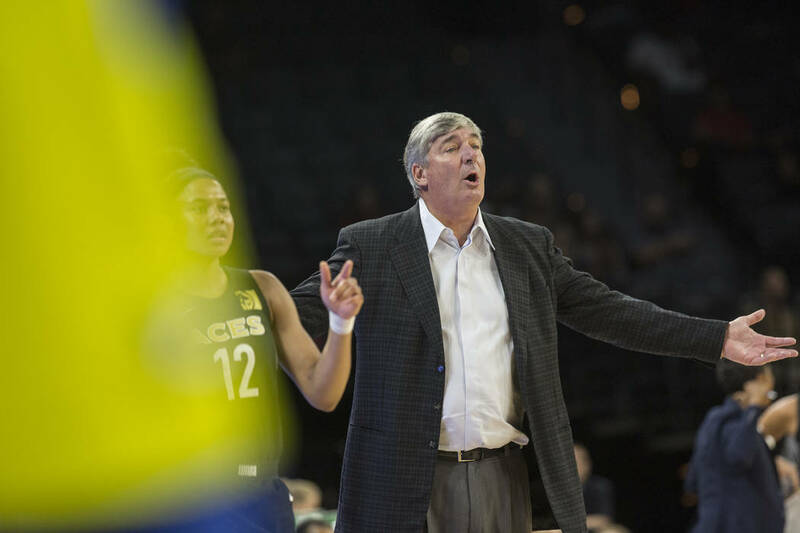 Earlier Tuesday, the WNBA ruled Las Vegas would forfeit its game against Washington that was canceled on Friday when the Aces players decided not to play because of concerns about their health and safety after 26 hours of travel. The dual losses dropped the Aces (12-17) 2½ games behind the Dallas Wings (14-14) for the eighth and final playoff berth with five games remaining. Dallas hosts the Connecticut Sun on Wednesday. Williams scored on back-to-back possessions Tuesday and assisted on the third as Jessica Breland capped the Dream’s scoring with 40 seconds to go. Williams’ baskets followed two 1-for-2 trips to the line for Las Vegas. Angel McCoughtry chipped in with 19 points for Atlanta (19-10), which set a season-high in points. Kelsey Plum had 20 points and 13 assists for Las Vegas. Kayla McBride added 19 points and A’ja Wilson had 18 points and eight rebounds. Wilson, McBride and Plum combined to score 42 of Las Vegas’ 60 first-half points. Wilson’s former coach, Dawn Staley, at South Carolina sat courtside. More Aces: Follow all of our Aces coverage online at reviewjournal.com/aces and @RJ_Sports on Twitter.